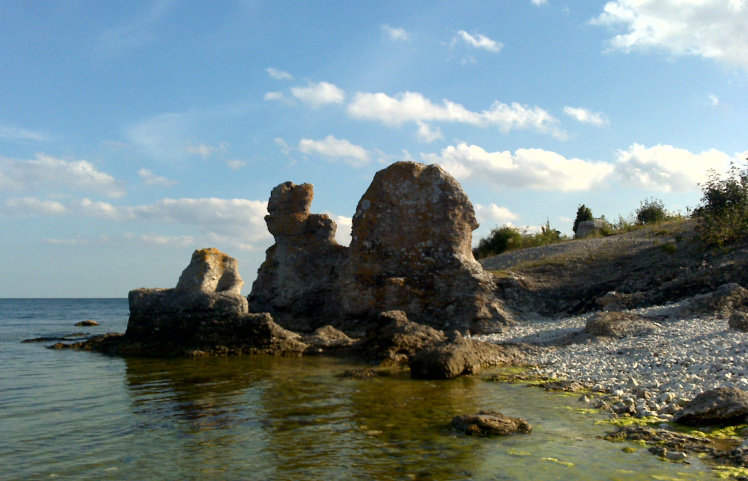 This picture shows sea stacks on the St Olofsholm peninsula of Gotland, Sweden. Sea stacks are stone formations that originated at the time when the Baltic Sea was a tropical ocean with coral reefs. The harder material from these coral reefs keeps withstanding the wind, waves and weather that have long since eroded the softer materials. These characteristic formations are thus all that is left behind. This is somewhat reminiscent of certain IT solutions that remain in place longer than what was originally planned, in which case a high-quality replacement pays off at some point.